If you’re a backpacker traveling on low budget, if you like improvisation and living unique experiences, then this post is for you. 1.The Philippines are considered one of the cheapest destinations around the world. In fact, it has some of the best expat retirement places in the world for 2015. Besides this, if you don’t stay in the Philippines more than 30 days, the visa is free of charge. 2.The Philippines has one of the largest Coachsurfing communities in Asia. In fact, their members organize regular meetings to welcome and to guide new visitors. In addition, if you prefer, you can camp outside the cities, which is absolutely allowed. Coachsurfing and camping offer a great opportunity to save money on accommodation enjoy social life and get new friends. Sounds good, doesn’t it? 3.Filipinos are extremely open, friendly and hospitable. If you get on with them, they can invite home for lunch or to offer accommodation. 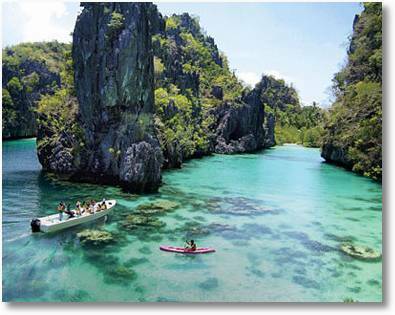 4.The Philippines offers you adventure and relax. Backpackers can get lost and disconnect from the world through the variety of lonely landscapes and wild beaches that the archipelago offers. 5. The transport is cheap. Travelling by hitchhiking is normal for backpackers. 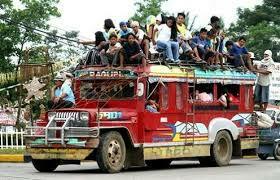 It is very advisable to try the typical Jeepney– it is fun! If you visit Manila, it is recommended to travel by underground as it is fast and reliable. Is your backpack ready? See you in Manila!